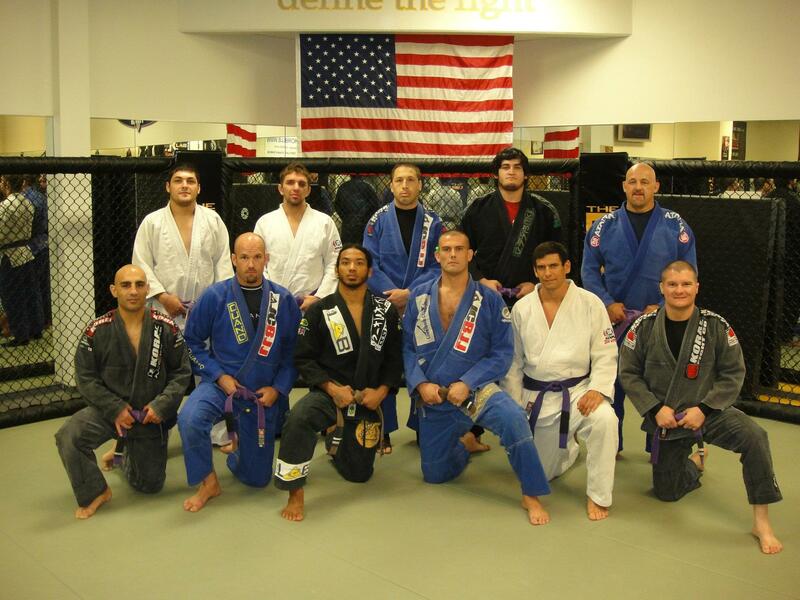 On Wednesday, October 26 we added two new members to our purple belts; Chad Wilson and Jarret Aki. Both guys have been valuable members of the team for many years and are very tough on the mat. Chad just got done winning a silver medal in his weight division and gold in the absolute to wrap up his blue belt competition career. As if that isnt enough, Chad, and his wife Sarah, just gave birth to twins! Congrats on a great couple of months for the Wilsons! Jarret Aki is the secret ingredient at the MMA Lab, being the strength and conditioning coach to the MMA Lab Elite fight team. He is always available to help everyone and is a wonderful person. He has been training Jiu Jitsu the entire time the MMA Lab has been open and is the longest tenured staff member there. Thank you for everything Jarret, you are awesome! Congratulations to the whole team, we do not get to these places in our lives without teammates to support us. See you on the mat! Better late than never, right? Sorry about the delay, but Eric and Isaac Aguilar show us the flying armlock this month. These two boys, Eric (14) and Isaac (16), are maniacs on the mat and improve every time they train. We taught them this technique on a Thursday, and on the next Saturday they caught the flying armlock three times between them in a tournament! 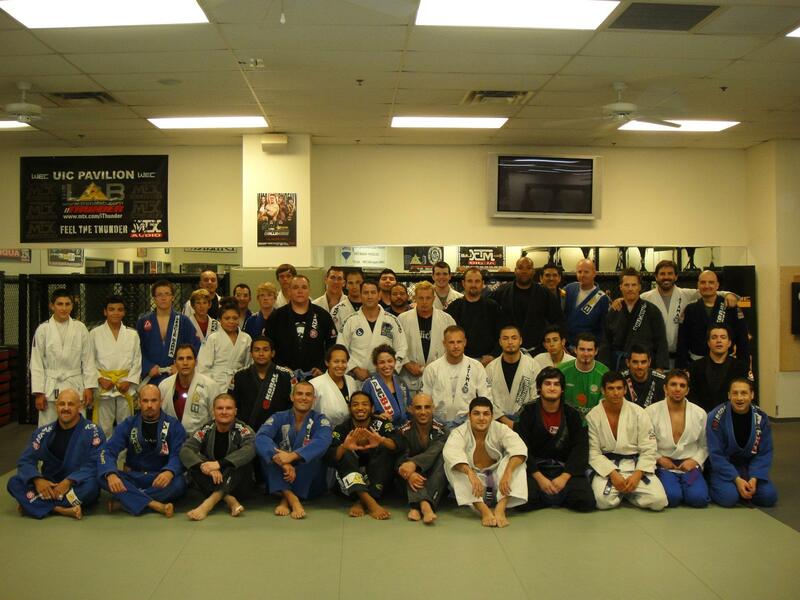 Besides being awesome competitors, they are great people and we love having them at the MMA Lab. Hope you enjoy the technique! Busy Weekend for the MMA Lab Team! On Friday night, Saul Castro made his amateur debut at Bad Boy Boxing. Saturday the IBJJF Southwest Classic began, Efrain fought at Bellator, Kelley fought at RITC and our own Rick Roufus fought in Las Vegas. Sunday morning the tournament continued bright and early. Saul won his debut by dominating him and finishing him in the third via TKO. Kelley finished his fourth opponent in four fights by putting the guy to sleep with a Von Flue choke. Rick Roufus won with an incredible spinning backfist in the third round of his fight. Efrain finished his opponent with a mounted guillotine in the first round. And , finally, the JCBJJ competition team finished third at the tournament, garnering 13 gold medals throughout the weekend. We are so proud of all our competitors and their efforts in their competition. Win or lose we will always fight to the end in any competition we have. Congratulations to everyone,what an awesome way to spend the weekend! Click on the photo below to see some pictures from the weekend. Kelley Oser won his fourth amateur fight on Saturday night at RITC 156. Kelley has been working very hard in the gym and it was great to see his effort pay off with a resounding first round finish. All four of Kelley’s wins have been finishes, and the team is talking about him turning pro sometime next year. Keep up the good work Kelley, we are very proud of you!! On Saturday, October 22 in Yuma, Arizona, Efrain “Hecho en Mexico” Escudero ran his incredible MMA record to 18-3 with a win in the Bellator event. Efrain’s opponent, Cesar Avila, was highly touted with a 7-1 record, but Effy made quick work of him, finishing him in under 2 minutes of the first round with a mounted guillotine. Efrain has been working hard to improve every day and his work is paying off as he is 5-1 since being released from the UFC. I have a feeling that we will be seeing Efrain back under the big lights sometime very soon. Congratulations Efrain, we are all very proud of you and your hard work! We are still excited about Saul’s win last night, and now the highlight video is ready! Hope you all enjoy these behind the scenes look at our fighters. 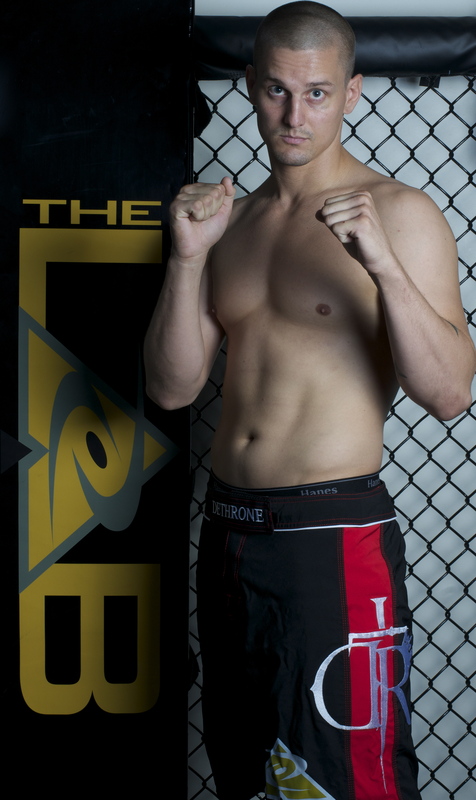 Lab Elite amateur fighter Kelley Oser is set to fight his fifth fight tomorrow night at the Wild Horse Pass Casino. Kelley has been working on his skills diligently, adding more strength and conditioning training and upping his training on the ground. Kelley has a 4-0 amateur record and has his sights set on his pro debut in 2012. He has been a great teammate and sparring partner and we are all excited to see his hard work come to fruition as he continues his MMA career. Good Luck Kelley, you are going to be great!